📣Cheer in Queen Creek starts January 23!! 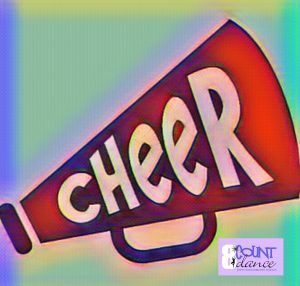 🤩In this fun, high energy class, students learn cheerleading basics such as arm movements, jumps, cheers, stunts, and tumbling. Class will perform at various events in Queen Creek. Tennis shoes are recommended with hair pulled back in high ponytail and wear clothes that don’t restrict movement. Remember your water bottle. Class runs 12 weeks long.